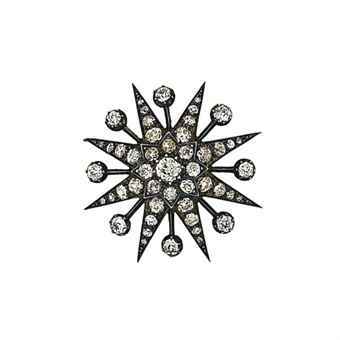 Astronomically influenced motifs in jewelry have been popular since the Georgian era. 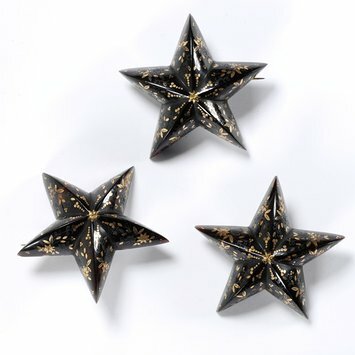 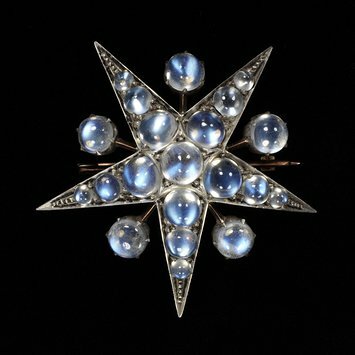 The revolution in science and astronomy during the 19th century in particular created a fashion for stars, star-bursts and crescent moon motifs that continue to be worn to this day. 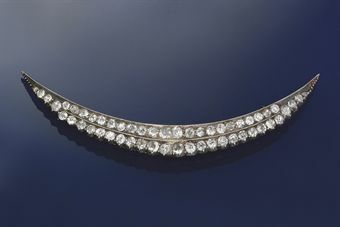 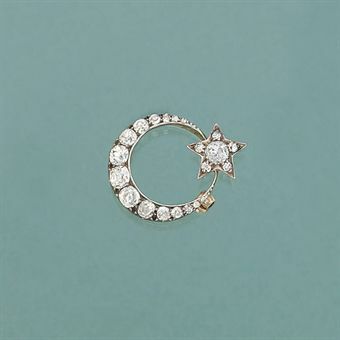 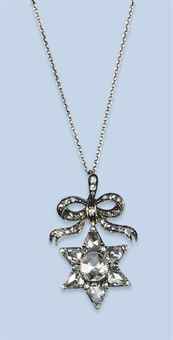 The crescent moon became an especially popular brooch motif in the late Victorian era. 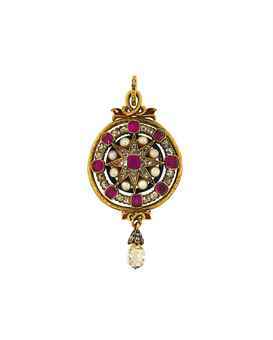 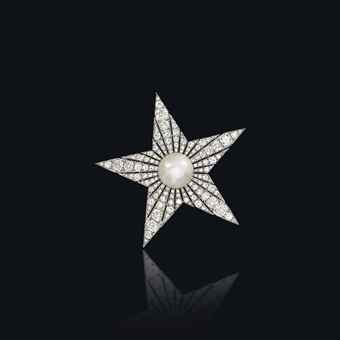 Crescent moon brooches were often set with diamonds but could be set with paste, garnets or other gems. 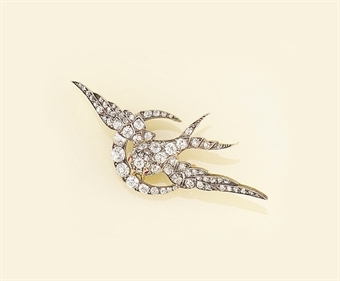 In that era, there was an explosion of novelty and whimsical new designs and crescent moons could also be topped with a a wide variety of other motifs. 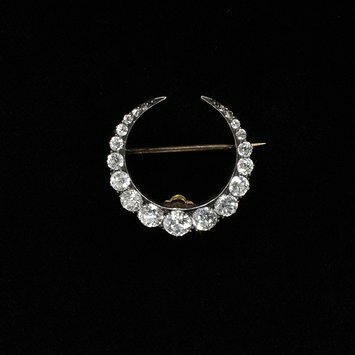 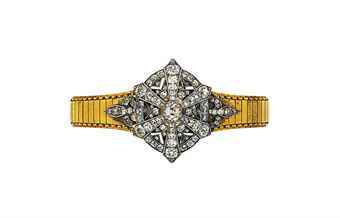 The term ‘Honeymoon Brooch’ normally refers to a brooch with a crescent moon and a bee motif but it has also come to refer to any brooch with a crescent moon topped with another motif.